I have a quick post for you today! Are you all ready for Christmas?? If you celebrate it that is? I am almost done, just a few more things and then I am DONE. 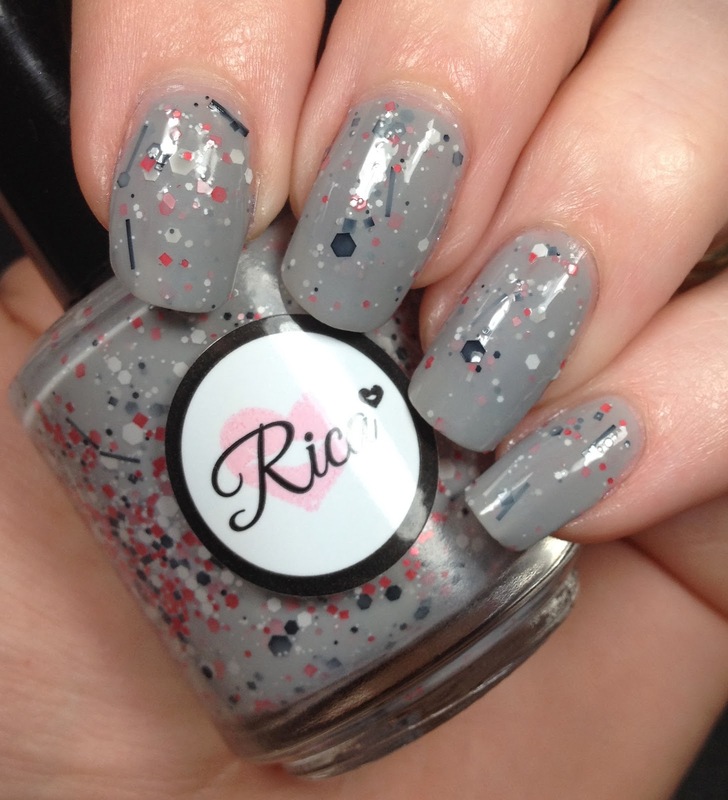 Today I have another polish from Rica. This polish is from her True Blood collection and is called Fang Banger. I just love True Blood, I have all the books and love the show. I have not however, seen the most recent season of it. I need to fix that. 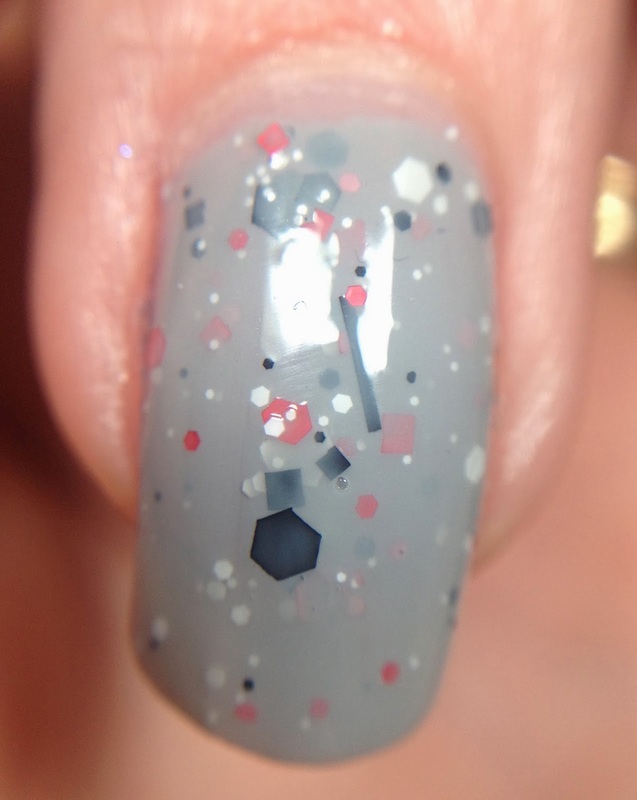 Fang banger is a grey polish packed with red white and black glitter in different shapes and sizes. As with her other polishes it was easy to apply. 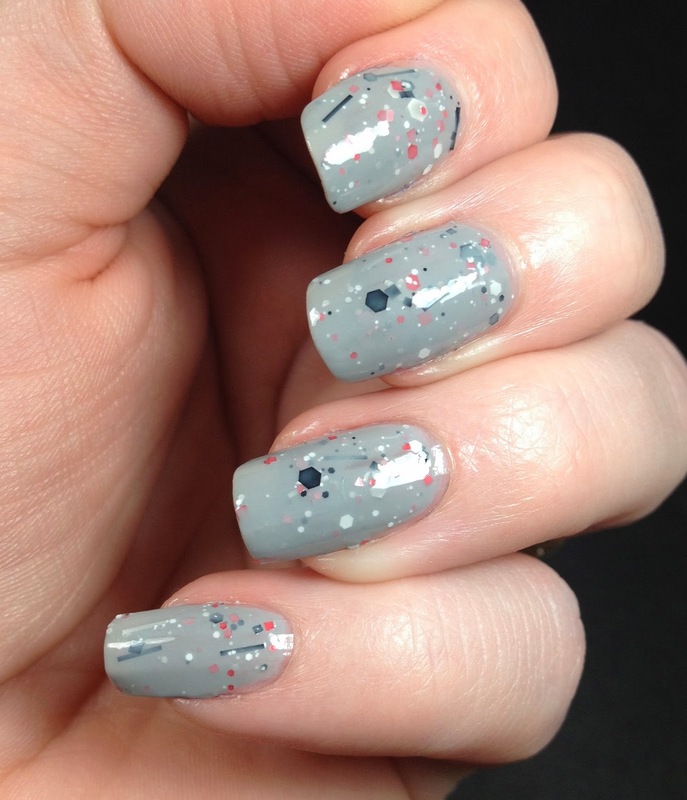 It needed no undies and it is shown here topped with her topcoat called Glossy Glam.